Myself and seven other friends, neighbors and the Mayor from Enniskillen Township, County of Lambton, Province of Ontario, Country of CANADA; attended the reading of Bill 39 in Toronto on Thursday, April 18. During the course of the day I was completely appalled by the misleading information and rhetoric coming from the Liberal side of the House as well as those of the NDP members. I wondered at times if these members had even read the bill. 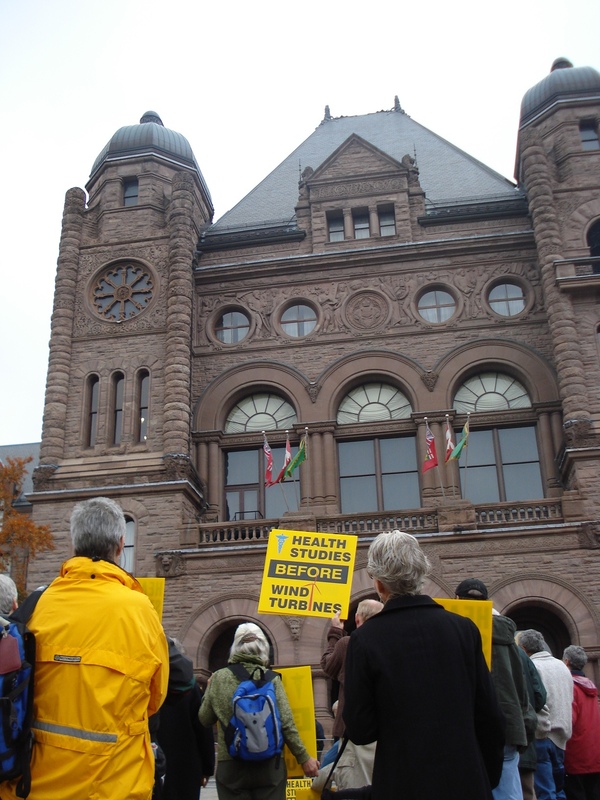 No matter what you think about wind turbines and whether or not they are the cause of some health problems, the fact the structures are not wanted by some municipalities remains the enduring issue in this part of Ontario. 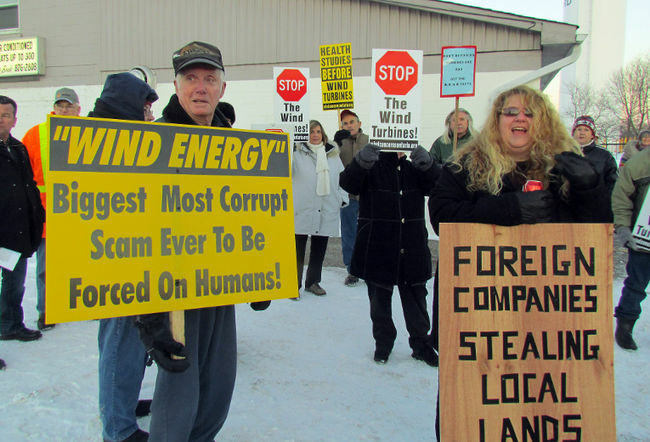 Indeed, some people seem to forget that municipalities like Enniskillen Township or the Town of Plympton-Wyoming are so dead set again wind turbines that they’re doing what they can to keep them out. But because permission and planning for the towers’ development is tightly held by a provincial authority, as enforced by the four-year-old Green Energy Act, local councils can do little – even if their ratepayers are firmly against such development, and even if councillors share that same opposition. Buying a hockey jersey with No. 99 on the back doesn’t make you Wayne Gretzky. Any couch potato will tell you. Wearing a Spider-Man mask and red-and-blue tights doesn’t confer Spidey’s powers on you. Even kids know better. How, then, does slipping on a pair of bright red Wellington boots and walking around in barnyard muck make one an agriculture minister? 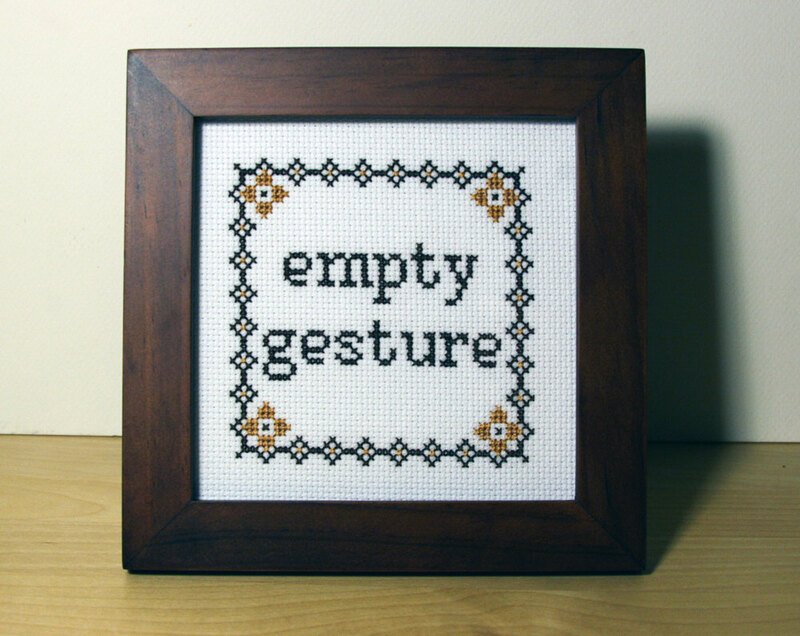 The truth is, it doesn’t. It’s about time someone told Ontario’s rookie premier just that. Two months ago, when she was sworn in as premier, Kathleen Wynne decided she’d do double duty — but only for a year — as the minister in charge of the province’s largest industry. Other premiers before have moonlighted, usually as intergovernmental affairs minister. She faced a hostile crowd of about 80 wind-turbine opponents later in Clinton, when she arrived to address a roundtable on agricultural issues sponsored by the Huron Chamber of Commerce. Huron-Bruce riding, which takes in Clinton, is considered hostile territory for Wynne and the Liberals because of opposition to turbines. 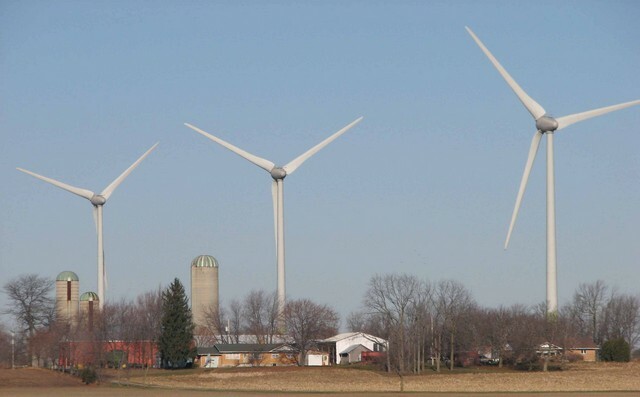 In the 2011 election, the riding opted against returning agriculture minister Carol Mitchell as MPP, a reflection of the fight against her party’s energy policies that have left 1,100 industrial wind turbines dotting rural Ontario with thousands more planned. “I am aware there are people outside who are angry,” Wynne said after running a gauntlet of signs, chants and catcalls, some amplified by loud hailers. Security was tight. [Excerpt] “I know how many good people there are in our rural farm communities and I believe farmers do care about their neighbours,” she said. 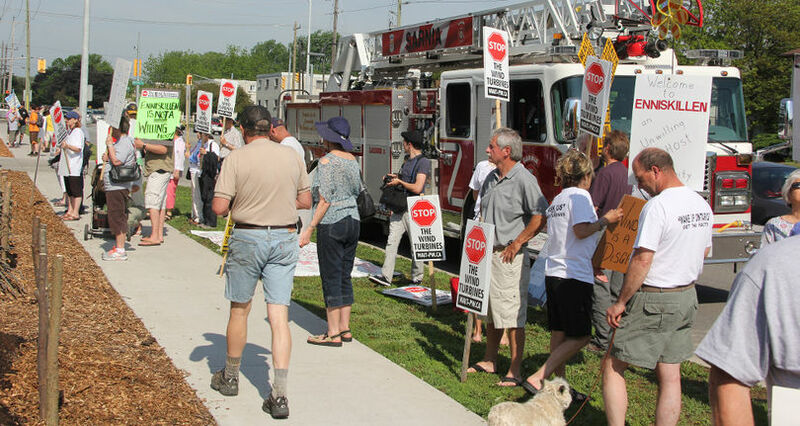 ‘We can do better together.” Thompson said she considered selling her home in south Chatham-Kent because of nearby turbines but has been told she would have to list it for 50 to 55% of her investment or 30 to 40% of replacement value. Thompson has also asked the Power Authority and Ministry of Environment to not allow the two closet turbines to her home to be activated until there is proof they won’t interfere with her husband’s ICD heart implant and until her other concerns have been satisfactorily addressed and resolved. 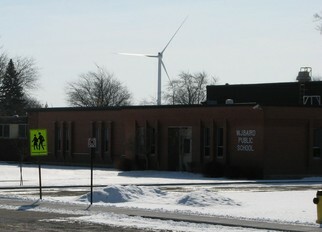 The twin counties of Bruce and Grey, which lie south of Georgian Bay and west of Lake Huron, have been the source of much of rural Ontario’s opposition to wind factory developments. These developments are commonly called wind farms, but wind factories is a more accurate description. 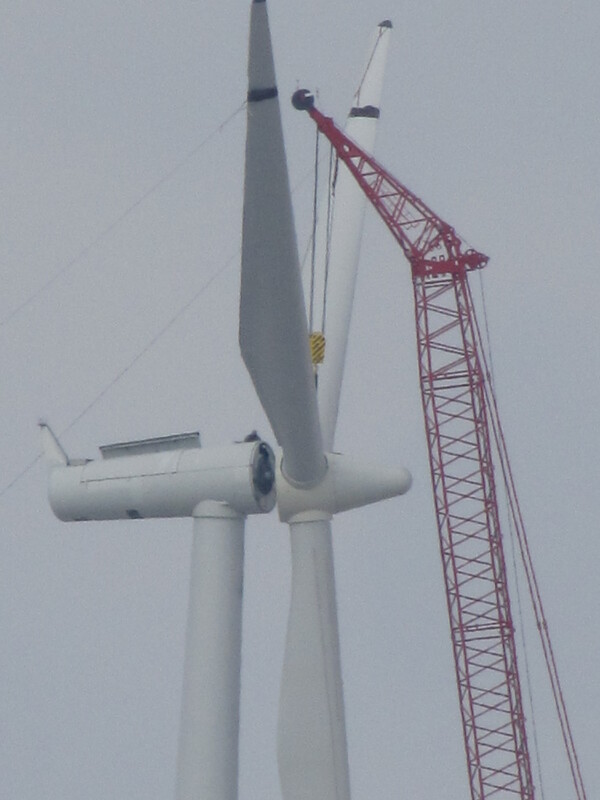 The opposition to turbines spread across the province just about as fast as the giant turbines started to crop up. Since Ontario has been in the throes of a rush to wind power for a number of years, that was fast indeed. 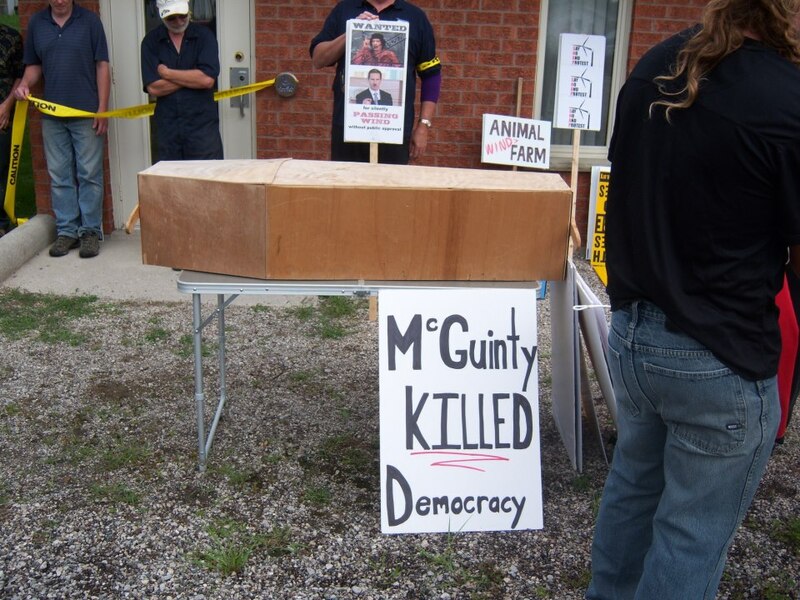 The breadth of the opposition to wind turbines is nowhere better documented than in the results of the last provincial election when voters across rural and much of northern Ontario turned their backs on the McGuinty government. They did so largely because of the way local planning controls were neutered so wind factories could be forced down rural throats. 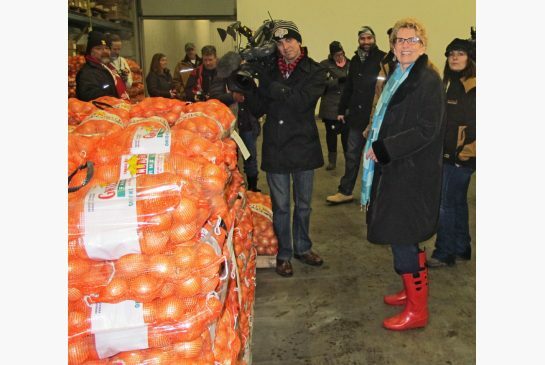 Would it be Premier-Agriculture Minister Kathleen Wynne? 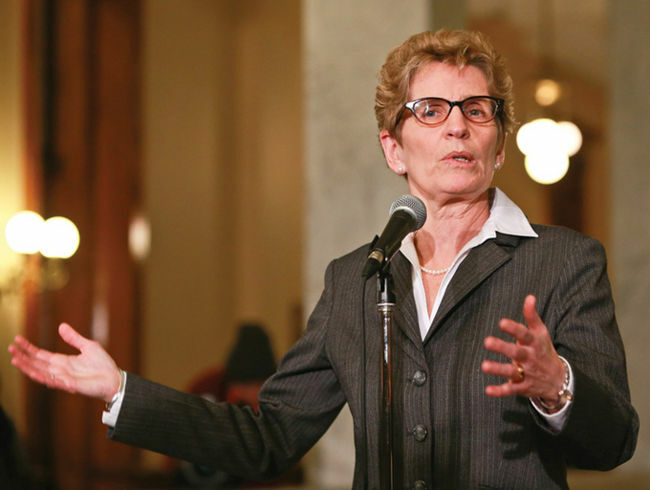 Or does Agriculture Minister-Premier Kathleen Wynne sound better? No matter how you slice them, it is difficult to make the two titles work together. But how you say them is but a tiny problem in comparison to how you combine the two jobs and do them both well. 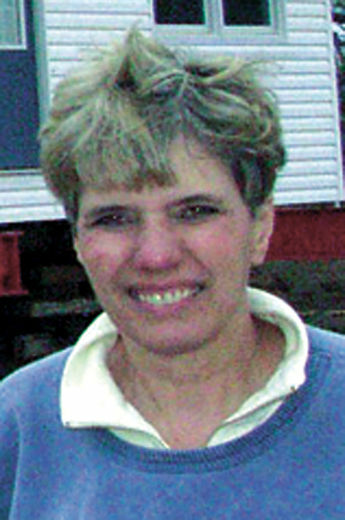 Wynne mentioned after she won the Liberal leadership she would serve a term as agriculture minister. It seemed like a good idea at the time. 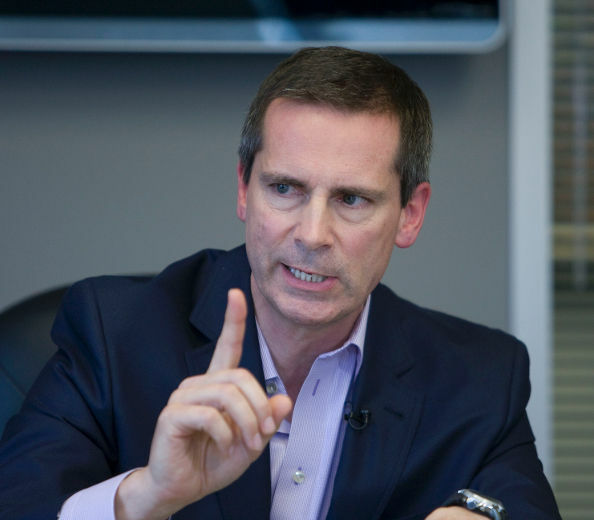 Under Premier Dalton McGuinty, agriculture was no more than an afterthought. Time and again the policies of the ag ministry worked against, instead of for, farmers. On one hand, the ministry hit small abattoirs in the province with such burdensome and often ridiculous regulations that many closed. At the same time, the government was promoting local food — you know, eat food produced within 100 kilometres of home to help local farmers. With no abattoir within 300 km, that becomes pretty difficult. But those are only part of the concerns. 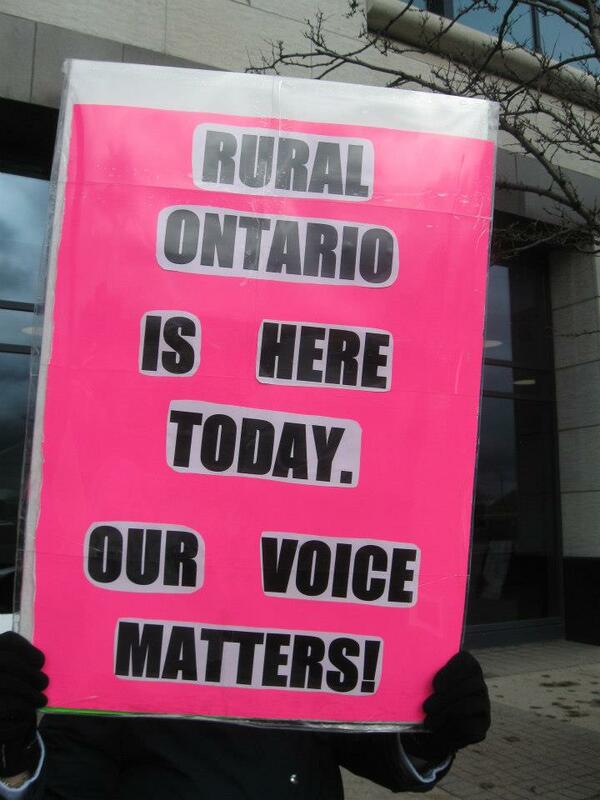 The full name of the ministry is the Ontario Ministry of Agriculture, Food and Rural Affairs or OMAFRA. As much as agriculture and food production are in serious need of attention, there are major issues under the broader “rural” heading. “Pay attention. We vote.” That’s the overriding message The Free Press heard during a 600-km road trip through Southwestern Ontario’s heartland as Ontario Liberals get set to choose a new leader and premier this weekend. The 10-riding region is largely an ocean of Tory blue, with a two-seat Liberal island. Little wonder some residents feel they’re afterthoughts to Queen’s Park policies on wind turbines, education, job creation and other issues. 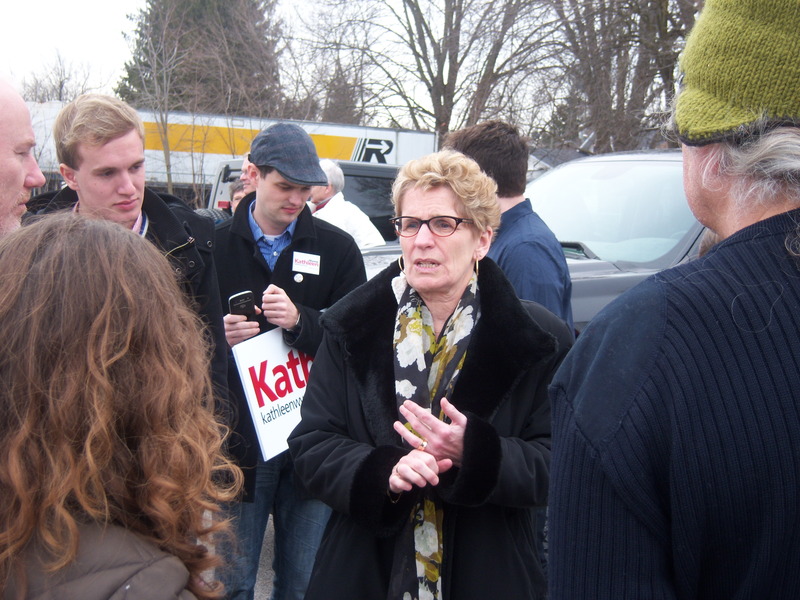 We hit the road with the question: If you had one message for Ontario’s new leader, what would it be? Here are some of their answers. PARTY LEANINGS: Strong Liberal loyalties, even against a Tory tide, but voted Conservative last time. ISSUES: Turbine towers, farming are rural hot buttons, with boom-and-bust manufacturing sector underpinning the urban economy. PARTY LEANINGS: Has a Conservative MPP now but the riding has been known to vote against the provincial tide. ISSUES: Announced closings of Sarnia jail, Hiawatha Horse Park, coal-fired generation plant. Natural gas power plant to be built; ethanol, solar, wind economies growing. PARTY LEANINGS: Conservative now, but historical voting preferences all over the map. ISSUES: With no community populations larger than 14,000, this is one of the largest ridings in region. Wind turbines, farm policy and education dominate political landscape. Phil Patterson, Strathroy – Gardenia Restaurant is the unofficial gathering spot for town pundits and local and visiting politicians. Patterson, the cook here, rarely gets to speak his mind but he wonders why none of the politicians seem to bring spending under control. “The onus is on the people to bail out (politicians’) bad decisions.” He’s annoyed that wind turbines have been forced upon surrounding communities despite neighbours’ objections. PARTY LEANINGS: There have only been two elections since the riding was founded in 2003. It’s Conservative now, but the first election went Liberal. ISSUES: St. Marys, Stratford, Minto and Mapleton all fall within Perth–Wellington’s boundaries. The towns are full of independent businesses, and soaring hydro expenses have put an extra strain on small business owners. PARTY LEANINGS: A Conservative win in 2011 turned the tide after two Liberal victories, but Huron-Bruce was blue in the late 90s, too. ISSUES: Wind farms have been sprouting up across Southwestern Ontario, and Huron–Bruce is no different. The turbines are championed for their clean energy but have caused debate as many worry about their effects on property values, health and scenery. Somewhere west of Brampton . . .
[excerpt] The fact that Wynne would use the “rural card” shows how desperate she must be. The agriculture ministry was fiscally gutted by former Premier Mike Harris in 1999, and that status was upheld by successor Ernie Eves and then by Premier Dalton McGuinty. It remains a mystery why Wynne would measure her possible success in Southwestern Ontario by promising to head up a ministry whose influence at Cabinet has been greatly diminished. It further suggests that she knows very little about the province as it exists west of Brampton. It’s this kind of political paternalism that remains so offensive to Ontarians who don’t live in Toronto. Agriculture is a large part of the economy in this region, but so is the automotive, manufacturing and petro-chemical industries. And we also have more wind turbines than any other part of Ontario, a direct product of the Liberal government’s Green Energy Policy. 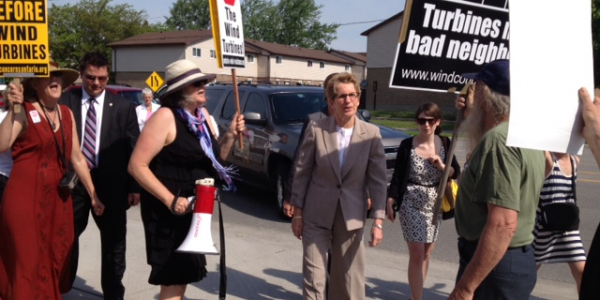 Wynne said she wants to address the issue of wind turbines, but in typical Toronto-Speak said her role as premier would be to better convince the people of Southwestern Ontario that wind turbines are good for us. She obviously doesn’t question her government’s judgment in introducing legislation that has changed our landscape forever, created divisions in some communities, and raised questions about health and safety. 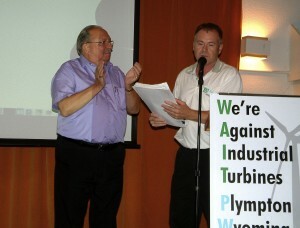 As the Liberal Leader Candidates tour Middlesex and Lambton, the Middlesex Lambton Wind Action Group aren’t far behind. 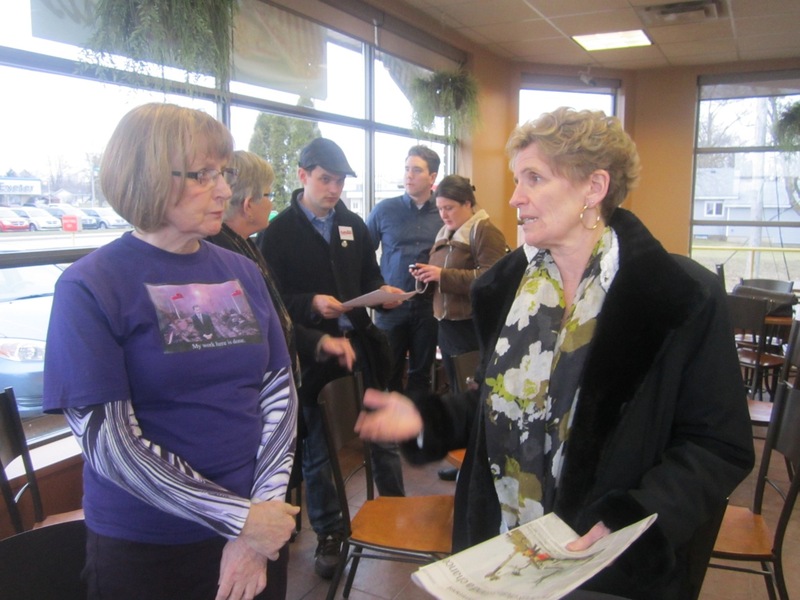 The local group were able to talk with Liberal Candidate Kathleen Wynne in Strathroy Saturday about the issue with wind turbines, but WAG Member Muriel Allingham wasn’t very convinced with what she had to say.